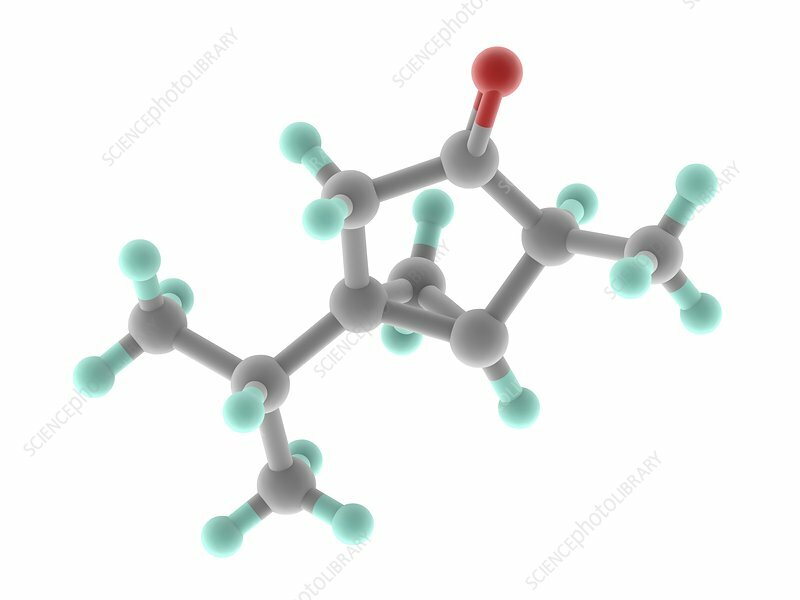 Thujone, molecular model. Organic compound with menthol odour found in the spirit absinthe. Thujone acts as a GABA-A receptor antagonist. Atoms are represented as spheres and are colour-coded: carbon (grey), hydrogen (blue-green) and oxygen (red).